The all-new 2013 Suzuki Boulevard C50T will cruise into Australia this spring and is guaranteed to turn heads with its combination of stunning cruiser styling and Suzuki's renowned V-Twin powerplant. The all new Suzuki Boulevard C50T is now available in Australia and is guaranteed to turn heads with its combination of stunning cruiser styling and Suzuki's renowned V-Twin powerplant. 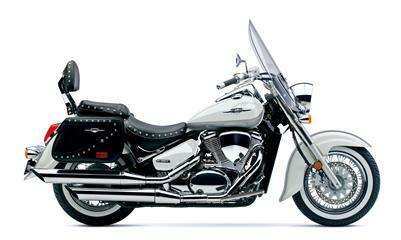 The all-new 2013 Suzuki Boulevard C50T.